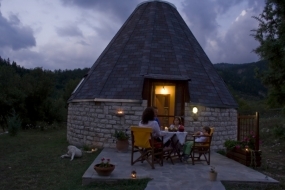 Theasis agrotourism villas are located in Siggena, Ktistades, Arta since December 2007. 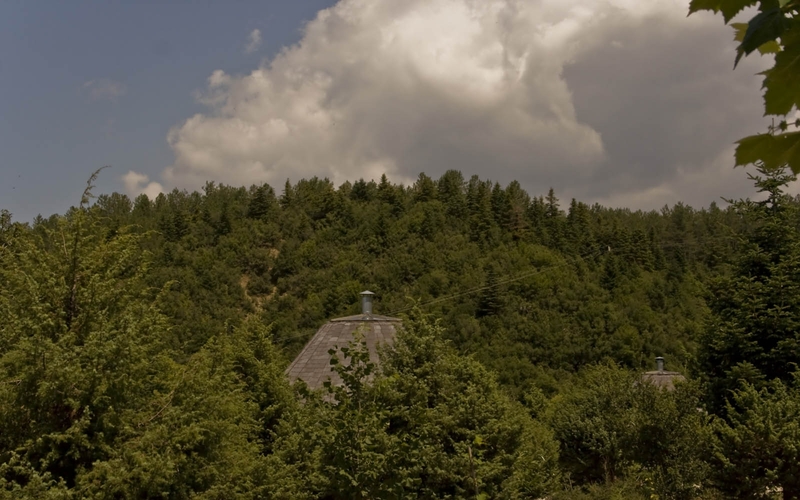 These buildings are designed on the basis of oikodynamikis and for their manufacture have used primordial materials: wood and stone, materials that abound in the surrounding area, in Arta and Epirus throughout. 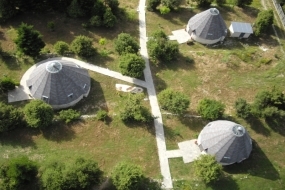 Everyone that stays in «THEASIS» have the opportunity to learn the greatness of the universe. In a region with zero polution, away from city lights and with the help of a telescope skywatcer 10 inches, you can explore the moon, the planets and other celestial bodies. A unique experience for young and old people. 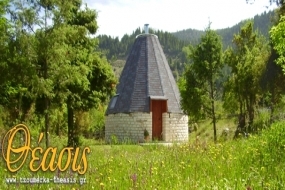 «THEASIS» agrotourism homes consisting of 4 independent houses built in the middle of an idyllic valley with trees, just below the imposing mountain of Tzoumerka. 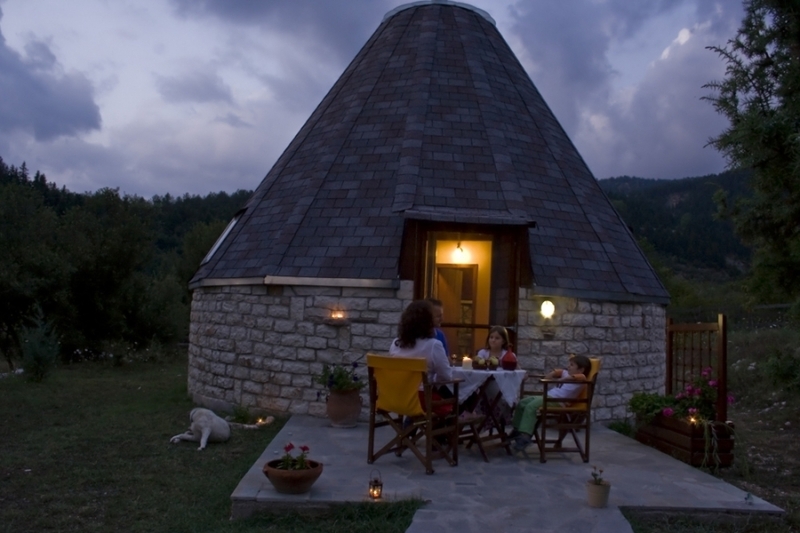 The original design and the specific activities that are being developed make a separate residence in THEASIS. 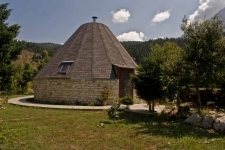 Villas are round and with the shape of pyramid for proper flow of energy in space. 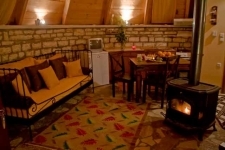 They have glass roof offering the goddess of the starry sky. The nights the moon has set, it makes walking over beds.